It's no secret that hairdressers love hair styling products and can sometimes go a little over the top. Personally I don't like to put too many products in my hair as it makes it feel a little unnatural and dirty quicker. 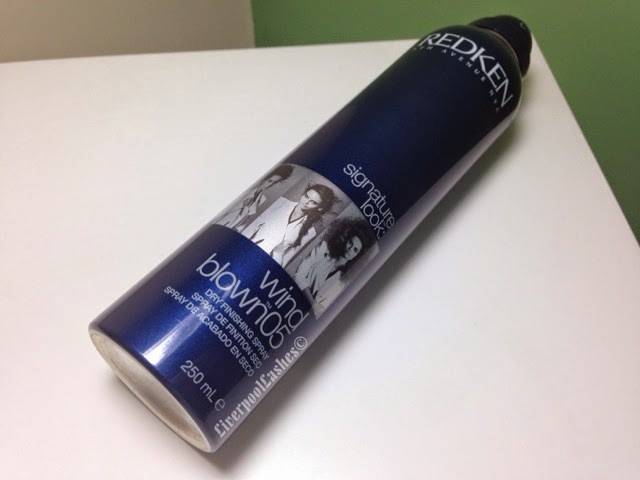 I did however want to mention the Redken Wind Blown 05 Hairspray as it's different to a lot of hairsprays I've used. I first used it when I was having my hair pinned up by a fellow hairdresser. She was spraying each curl and it literally felt like a ton of it was going on but when she was finished and I touched my hair it didn't feel like it at all. Last week I curled my hair and I used this hairspray and it held my curls for much longer than without it but minus the crunchy texture. It really is a dream hairspray to use and I highly recommend it!